The Rocky Mountain Institute recently released an article about rural electrification on American Indian land that was picked up by Cleantechnica . It begins by quoting some rather unfortunate statistics: "almost 40 percent of the people live without electricity, over 90 percent live below the poverty line, and the unemployment rate exceeds 80 percent." 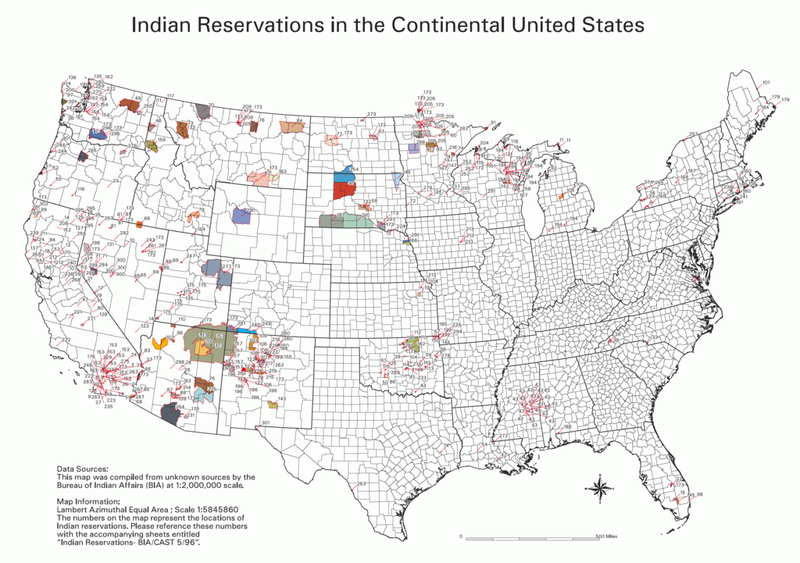 It provides just a snapshot of the hardships American Indians are put through. By being "relocated" to remote lands with few resources, opportunities for American Indians to improve their livelihood are scant and often inadequate . Being a white, middle-class New Englander I have very little at stake advocating for American Indian rights, but I do feel passionately that the poverty endured by American Indians on reservation land is one of the largest injustices in American history. A strong statement for a blog that typically refrains from such pointed language, but it's a serious matter that deserves a serious tone. 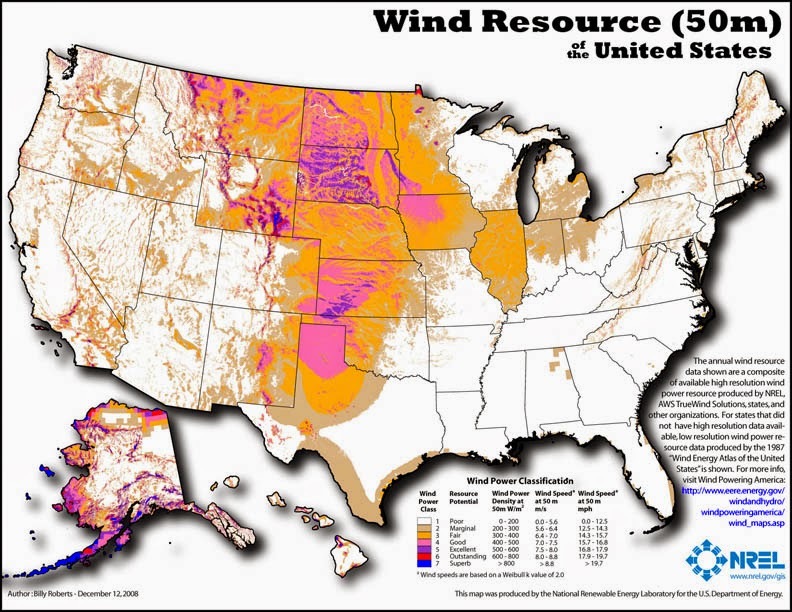 For wind resources, South Dakota and parts of Montana have the most potential, and for solar PV, Arizona and Southern California have a lot of promise. The BIA has already identified the benefits of wind development on American Indian land and has published a report highlighting a few reservations with high wind potential . Already a few large wind projects have been developed. 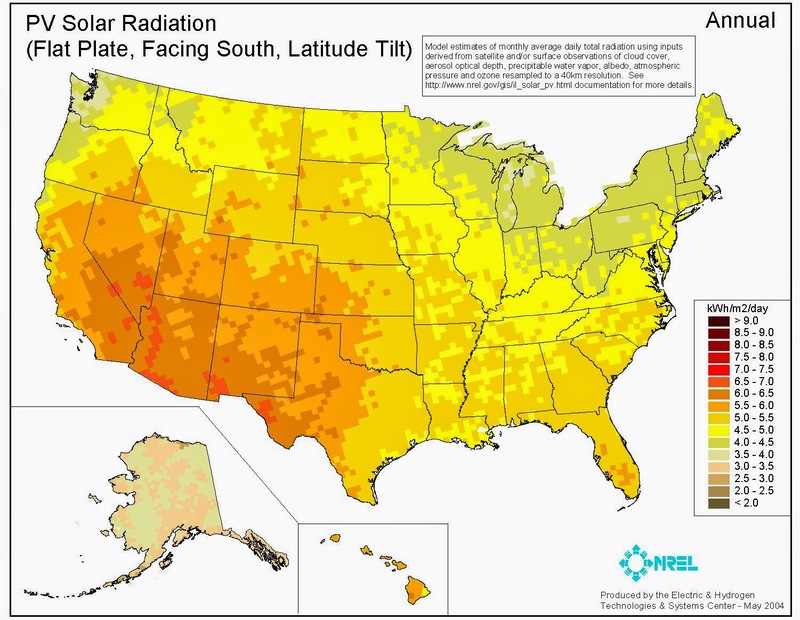 I haven't come across much by way of solar development, which I think is a bit of an overlooked opportunity; the Navajo Nation for instance resides in an area with one of the highest solar insolation levels in the country, yet 40% of homes don't have access to electricity . American Indians developing their renewable energy resources to their highest potential is a definite win-win scenario: availability of in-demand jobs, meeting of climate goals, access to electricity, improvement of relationships. It's one of the most clear-cut examples of a profitable triple bottom line enterprises I could imagine. I've been maintaining a pretty good clip on this blog of about new 3 posts a week ("not bad," thought the novice blogger to himself)...until two weeks ago. Since then I've been very wrapped up with work and had to focus on that whole science thing. The problems we're working on are very nuanced, but not unknown in the field of electrochemistry, which itself is a relatively new field. Basically, electrochemistry is hard, and few people outside of the science understand just how hard it is (hence the title). Electrochemistry emerged as a separate field of chemistry after early scientists first started laying the groundwork for general electromagnetic theory and chemistry. Elements were discovered, conservation of mass and matter were accepted, electrostatic generators were built, and electrical detectors were invented all before scientists even started tinkering with electrochemistry. And the first steps were pretty gruesome. In 1800, an Italian doctor (Galvani) dissecting frogs was able to make dead muscles twitch by touching them with different metals connected to each other in series. A physics professor (Volta) disagreed on the mechanism and arranged stacks of different metals and brine-soaked paper to achieve similar results. This was the invention of the battery: the first device that turned chemical energy into electricity, but no one at the time knew how it worked. That didn't stop anyone from using it though; application outpacing understanding in the energy field has been the MO since the battery was first invented. Electrochemistry got its first big scientific break from Michael Faraday in 1830s linking current (amount of electricity) and the amount of matter deposited during electroplating experiments. It took another 90 years and the framing of modern thermodynamics by Willard Gibbs before the groundwork of analytical electrochemistry was laid by Hermann Nernst relating voltage to chemical equilibrium. So only in the last decade of 1800 are we even able to discuss the describe the designed properties of a battery in simple terms of voltage and current. This is by no means an exhaustive list. To give an idea of how all these parameters fit together, I'll walk through an example in another post where we'll go from chemical fundamentals to full cell operation. During that exercise, it'll become pretty clear that we're lucky to have even what we have now given how easily things can go wrong.